Prerequisite, PORT 204 or 402; permission of the instructor for students lacking the prerequisite. This course is a stand-alone LAC discussion session. Weekly discussion and readings in Portuguese. UNC-CH’s LAC Program offers students the opportunity to use world languages in a variety of courses outside the language and literature curricula. The program aims to promote a better understanding of world regions while demonstrating the relevance of practical language skills across the disciplines. Use the target language to conduct course research. LAC Recitation Sections are weekly 50-minute group discussions in the target language offered for lecture courses that require a recitation section. LAC recitation sections function like normal recitations except that selected readings and assignments are completed in the target language. Students who participate in a LAC recitation receive one additional graded hour of language credit by enrolling in the corresponding LAC language course (ARAB 308, FREN 308, GERM 389, ITAL 308, PORT 408, SPAN 308, or SWAH 408) in addition to main course’s corresponding LAC recitation section. Supplementary LAC Discussion Sections are weekly 50-minute group discussions in the target language linked to courses that do not normally require a recitation section. Supplementary LAC sections enable students to complete short readings and assignments related to the linked course in the target language. Students who participate in a supplementary LAC section receive one graded hour of language credit by enrolling in the LAC language course (ARAB 308, CHIN 508, FREN 308, GERM 388 or 389, ITAL 308, PORT 408, SPAN 308, or SWAH 408). Combined LAC Discussion Sections are weekly 50-minute group discussions in the target language. These are linked to two or more related courses offered during the same semester. Students complete short readings and assignments in the target language on interdisciplinary themes or issues common to the linked courses. Students who participate in a combined LAC discussion section receive one graded hour of language credit by enrolling in a LAC language course (ARAB 308, CHIN, 508, FREN 308, GERM 388 or 389, ITAL 308, PORT 408, SPAN 308, or SWAH 408). Stand-Alone LAC Discussion Sessions are weekly 50-minute group discussions in the target language. These are not linked to any other course, and so the content is determined by the LAC instructor. Students complete short readings and assignments in the target language on interdisciplinary themes or issues These course may have varying thematic focus. 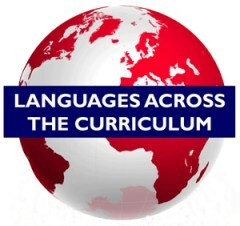 Students who participate in a stand-alone LAC discussion section receive one graded hour of language credit by enrolling in a LAC language course (ARAB 308, FREN 308, GERM 389, ITAL 308, PORT 408, SPAN 308, or SWAH 408). LAC Seminars are stand-alone three-credit courses taught entirely in the target language. Course identifiers may vary, so consult the present semester’s publicity or contact the LAC coordinator for current offerings. LAC Research Components offer students the opportunity to complete course projects or papers in the target language, with assistance provided by a faculty member or graduate student. Students do not receive extra course credit, but are given a certificate of completion. Contact the LAC coordinator for current opportunities. Professor Rob Anderson currently serves as the point of contact for LAC courses. Please email him at roberto@email.unc.edu with questions about the LAC program. A new LAC coordinator will be appointed shortly, at which time you may contact them to set up an appointment, request archived material, learn about LAC teaching opportunities, or ask questions about what LAC courses are being offered and how to register. Please check this web page for updates. The LAC Program supports the University’s core values encouraging diversity and equal educational and employment opportunities throughout the University community. These values are articulated in the University’s non-discrimination policy and by the office of Diversity and Multicultural Affairs.